Agrawal,A. and Narain, S. (2001) DyingWisdom. Centre for Science and Environment, New Delhi, India. Asano, T. (1985) Artificial Recharge of Groundwater. Butterworth Publishers, Boston, Masachussetts. Technical Series: Monograph No. 3. Ministry of Water Resources, Government of India. Central Ground Water Board (CGWB) (1995) Report on Groundwater Resources of India. Government of India, New Delhi, India. Chawla, A.S. (2000) Ground Water Recharge Studies in Madhya Ganga Cana/ Project. Consultancy Report to IWMI, Colombo, Sri Lanka. DHAN Foundation. (2002) Revisiting Tanks in India. National Seminar on Conservation and Development of Tanks, New Delhi, India. Huisman, L. and Olsthoorn, T.N. (1983) Artificial Groundwater Recharge. Pitman Publishing, Massachusetts. Karanth, K.R. and Prasad, P.S. (1979) Some studies on hydrologic parameters of groundwater recharge in Andhra Pradesh. Journal of Geo/ogica/ Society of India 20, 404-414. Mission WatSan (1997) Rajiv Gandhi National Drinking Water Mission. Quarterly Bulletin, No. 1. Molden, D. and Sakthivadivel, R. (1999) Water accounting to assess use and productivity of water. Internationa/ Journal of Water Resources Development Special Double Issue 15(1 & 2), 55-71. Muralidharan, D. (1997) Captive sustainable drinking water sources well and wasteland development in hard rock areas. Proceedings of National Conference on Emerging Trends in the Development of Sustainable Groundwater Sources, Jawaharlal National Technical University, Hyderabad. Muralidharan, D. and Athavale, R.N. (1998) Base paper on artificial recharge in India. National Geophysical Research Institute, CSRI, Hyderabad, India. Neelakantan, S. (2003) A Gossipmonger's Revisit to Chettipa/ayam. Working Paper No. 142. Madras Institute of Development Studies, Chennai, India. Oaksford, E.T. 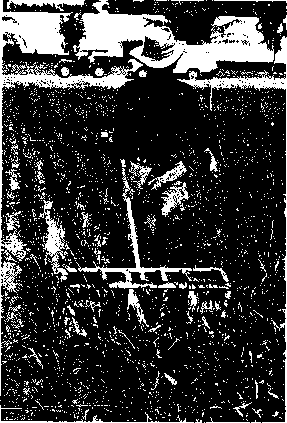 (1985) Artificial recharge: methods, hydraulics, and monitoring. In: Asano, T. (ed.) Artificial Recharge of Ground water. Butterworth Publishers, Boston, Massachusetts, pp. 69-127. Parthasarathi, G.S. and Patel, A.S. (1997) Groundwater Recharge Through People's Participation in Jamnagar Region. Indian Water Works Association, pp. 51-56. Phadtare, P.N., Tiwari, S.C., Bagade, S.P., Banerjee, A.K., Srivastava, N.K. and Manocha, O.P. (1982) Interim Report on Concept, Methodology and Status of work on Pilot Project for Artificial Recharge, CGWB, Ahmedabad, India. Raju, K.C.B. (1998) Importance of recharging depleted aquifers: state of the art of artificial recharge in India, Journal of Geological Society of India 51, 429-454. Roy, B.K. (1993) Population and Reginalisation: The Inevitable Billion Plus. Editor, Vasant Gowariker. pp. 215-224. Sakthivadivel, R. and Gomathinayagam, P. (2004) Case studies of locally managed tank systems in Karnataka, Andhra Pradesh, Gujarat, Madhya Pradesh, Gujarat, Orissa, and Maharashtra. Report submitted to IWMI-Tata Policy Programme, Anand, India. Shah, T. (1998) The Deepening Divide: Diverse Responses to the Challenge of Ground water Depletion in Gujarat. Policy School, Anand, India. Shingi, P.M. and Asopa, V.N. (2002) Independent Evaluation of Check Dams in Gujarat: Strategies and Impacts. Executive Summary. Centre for Management in Agriculture, Indian Institute of Management, Ahmedabad, India. Todd, D.K. (1980) Groundwater Hydrology, 2nd edn. Wiley , New York. WMF (2003) Theme Paper on Inter-Basin Transfer of Water in India - Prospects and Problems, Water Management Forum. The Institution of Engineers (India), New Delhi, India.